‘Big Mathematics for Big Data’, a seminar by University of Oxford Guest Speaker, Professor Vidit Nanda. Publication of the week: S. Khazendar, H. Al-Assam, H. Du, S. Jassim et al. A Higher Education Academy STEM (Science, Technology, Engineering and Mathematics) workshop on Mobile Application Development: from curriculum design to graduate employability was held in Buckingham on 15 May 2012. Dr Harin Sellahewa gave a presentation entitled “Mobile Application Development: A journey thus far”. There is a full report in Christopher Douce’s blog (Open University website). Three Computing students from Buckingham were selected to attend and present their individual projects at the 5th BCSWomen Lovelace Colloquium held at the University of Bath on 12th April 2012. Our students were among the 40 best selected to receive a Google travel and accommodation grant. Read more. Dr Harin Sellahewa presented a paper on “Enhancing Small Group Teaching and Learning using Online Student Response Systems” at the STEM Annual Conference 2012 at Imperial College London in April 2012. Read more. Harin Sellahewa’s article “Using an online student response system in small group teaching: a pilot study” appeared in Italics 10.3 (November 2011), published by the Higher Education Academy. Read the article. The Department of Applied Computing is delighted to announce that it will be offering partial scholarships to BSc and MSc applicants applying for January 2012. Dr Sellahewa gave a lecture on “Face recognition in unconstrained environments” at the University of Sri Jayewardenepura, Sri Lanka, in February 2011. Saturday 26 February 2011 saw the graduation of students in the Applied Computing Department. They are Christopher Clayton (first class), Christian Mein, Daniel Okebukola, Sylvester Owino and Varan Thangeswaran for Bachelor of Science in Computing (honours), Richard Woodward (distinction) for Postgraduate Diploma in Computing, Waseem Al-Obaydy (distinction) and Kwame Boakye for Master of Science in Innovative Computing. They were joined by the third cohort of graduates in Computer Science and Information Systems from our partner institution, Sarajevo School of Science and Technology. Dr Ihsan Lami has recently joined our team. 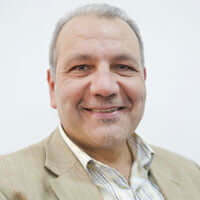 With over 25 years experience in both industry and academia, he has been involved in the research, development and leadership of many successful chip designs for mobile phone and consumer applications. 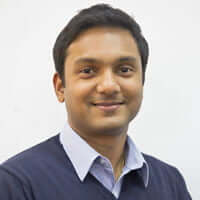 His current research focus is on the “Hybridisation of GNSS and wireless technologies for LBS and Security” and on “Security and localisation techniques for Wireless Mesh Networks connectivity and communication integrity”. On 30 April, a group of Applied Computing students visited Bletchley Park, a historic site a few miles from Buckingham where secret messages, mostly high profile military information, were deciphered during the Second World War. They were given a talk about the Colossus machine by Dr Tony Sale, and a guided tour of the National Museum of Computing. Data Mining Techniques and Applications: An Introduction was published this month. The book is the first of its kind that primarily targets undergraduate readers from computing-related disciplines. It covers a wide range of data mining techniques for classification, clustering and association rule discovery, and addresses practical issues in applying the techniques. The “Mobile Multimedia / Image Processing, Security, and Applications” session of the SPIE Defense, Security and Sensing conference, held on 5-9 April 2010 at Orlando, Florida, was chaired jointly by Professor Sabah Jassim of Buckingham and Professor Sos Agaian of the University of Texas at San Antonio. The Applied Computing Department at Buckingham was again a main contributor to the conference, presenting four full papers and two posters. On Friday, 5 March 2010, Colin Dalton, senior lecturer from the University of Bristol, was invited to Buckingham to give a talk on computer graphics. Using game animation sequences, computer generated images, interactive demonstrations and references to films such as Avatar, Stealth and The Curious Case of Benjamin Button, Colin explained the different stages of the process behind the making of modern films.